I first met Mr. S in the early spring of 1997 at a Hungarian cultural event. The organizer of the event brought him to my attention, as a newly arrived Roma from Hungary, claiming refugee status in Canada. I asked him if he had a lawyer to represent him, and he said with a confidence that he was planning to represent himself. „Bad idea”, I informed him. „Might as well pack your bag and return with the first flight.” He needed a proper lawyer, working with the right interpreter, who would be able to fill out his papers properly and take care of him in a professional, timely matter. I chose Lisa Winter-Card, a young lawyer specialising in Immigration and Refugee cases in Toronto to represent him, while I volunteered to be his interpreter. He was the first of many Hungarian Roma who arrived from Hungary at that time in great numbers. He came with his wife and two children. The wife and his step daughter were Jewish, his son was of a mixed ethnicity. He was one of the few ones with high school education who had inspiration to become an actor. He claimed that he had been harassed by both teachers and students alike in school, and at his father’s insistence he went to trade school after elementary school. He completed high school at night where he won a number of national oratory competition. However his admission had been repeatedly refused to the Institute of Theatre, Acting and Film, because he was labeled as a rebel for reading the work of Roma poets at the auditions. But he came to the attention of a producer at the Hungarian State Broadcasting authority, who invited to work on their Romani programming. 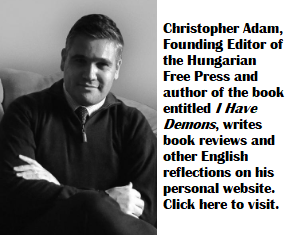 He worked as a freelance editor reporter and performer on the Patring Gypsy Magazine, a daily 30-minute programme on Hungarian State television, from its inception in 1992 until 1997. He worked only on stories involving Romani issues. I confirmed this by phoning the program director at the Hungarian State Television, who has stated that Mr. S was indeed a major player in that production. In 1996 he broadcast a report which focused on the refusal of a university club in Budapest to admit some Romani patrons. Also in the fall of 1996, he reported on police mistreatment of Roma in the eleventh district of Budapest. During his hearing at the IRB, he claimed that immediately after the report was broadcast he received telephone threats of violence, first at the TV station and then at home. The calls at home frightened him because his number was unlisted and the station did not give it out. He reported the calls to the authorities at the station, and they suggested he go to the police. However he was unwilling to avail himself to the police, as he had previous experiences with them and their negative attitude towards Roma in general. He told us about an incident when he was harassed by the police because his identification card allegedly was „out of order”. He attempted to obtain the badge number of the police officer, and was threatened with being charged. He reported the incident to the president of the parliamentary human rights commission, who succeeded in having the charges against him dropped. Mr. S. didn’t have any information about whether the officer had ever been disciplined for the false charge. But he further reported that doing reporting Roma living in a suburb of Budapest, his car was surrounded by police, who accused him of having a stolen tape recorder. He was detained for several hours before he convinced them that he was a journalist and the taper recorder was one of his tool. He mentioned that besides doing reports on police brutality he had personally known about two incidents in which police abused Roma. At the time of his hearing on December 1st, 1997, the panel accepted the documentary evidence about considerable degree of hostility towards Roma on the part of the skinheads and the general population in Hungary. And they also found that because of his role as a reporter and editor, performer on the Romani TV program, and the nature of the reports he has done on television and elsewhere, he had a high profile as an activist for Romani rights. ..The most immediate and dramatic threat to Roma comes from attacks and harassment by racist hate groups. Roma suffer discrimination in schools and in the general community. Only a handful of Roma graduates from or attends academic high schools. Most urban Roma live in ghettoised slums, or in the worst housing projects in the countryside, they live in Gipsy rows. Many public establishments exclude Roma, often quite openly. …in the spring of 1995, local human rights monitoring groups reported a sudden jump in the number of attacks, perhaps signaling a renewed campaign of anti-Roma violence….. The panel also noted that the claimants’ wife, and his step daughter while not ethnically Roma, had experienced harassment when their relationship to Mr. S became evident. Mr. S and his family’ claim had been accepted by the Board, based on the documentary evidence that clearly stated that there had a serious possibility of persecution, based on their membership of the family in a perceived Romani family group. Furthermore the panel stated that the claimant’s previous experience with the police he had good reason to believe that they would not protect him from harassments. The documentary evidence supported that violence against Roma by the police and the volunteer „citizen’s guards”, and the failure of the justice system to enforce the laws against racial violence and punish the perpetrators’, including the police. The panel found that „it was objectively reasonable for the claimant not to have sought the protection of the state against the threat of violence he and his family received. He and his family were not in the situation where state protection might reasonably have been forthcoming and that he has provided clear and convincing proof the state inability to protect him and his family. Based on that the family had been accepted to be Convention refugees. Although I was only present at this hearing as an observer, I could have easily be one of the witnesses about the atmosphere regarding the Roma in Hungary. From the summer of 1990 I had been a frequent visitor in Hungary, and it became very apparent the fast spread of racism, aiming at both the Jews and the Roma. Books blaming the Jews for all the problems of the world, even Hitler’s Mein Kamp had been displayed and for sale in bookstores, or by street venders, and people talking openly on the street voicing their opinions about the bloodsucker, money grabbing, banker Jews, and the dirty Gypsies were becoming rampant. And on the rare occasion when someone dared to dispute or object, the person had been physically attacked and no one called the police. I had two incidents that I was personally involved in, that demonstrates this attitude. Both happened during the same visit in the spring of 1994. 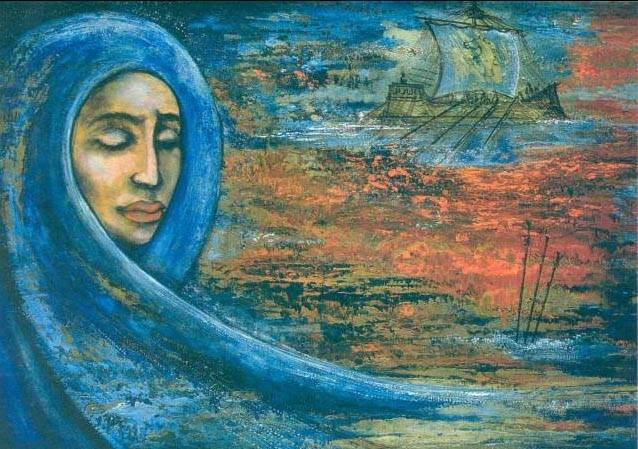 I had been introduced to a Roma poet and sociologist by my father and we had a very invigorating discussion about his travels and lecture tours, where he could converse in the Lovary Dialect with a professor from India, speaking Urdu, proving that both languages were based on Sanskrit, thus the Roma people origin from India. I was very excited about this experience and was about to share it with a former high school classmate of mine, a well-known photo artist with the reputation of being a liberal minded individual. I only managed to get as far as informing him that I met this Roma poet and sociologist, when he abruptly stopped me, and began to fume at me how sick and tired he was of hearing them (the gipsies) spewing their complaints about discrimination, trying to paint themselves to be the victims, etc. The second episode was on a subway line in Budapest, approximately within the same time frame. I witnessed as three young men chasing someone on the platform in one of the subway stops. In the last minute, the one being chased managed to jump in the car ahead of us, and we ended up with the three chasers. I could see the face of the young man in the other car through the door, trying to catch his breath and wiping his tears from his face. The three youngsters carried on with their tirade against the „dirty gypsy boy”, and described how they planed to deal with him at the next stop. They were loud and obnoxious, and even though the train was more than half filled, no one dared to tell them to stop this nonsense. I began to stew. First because of the behaviour of the obnoxious youth, and secondly, because the seemingly callous attitude of the passengers. I knew that words would not be affective here. So I decided to pull myself up, and began to stare at the young men, carrying on. Others seemed to pick up my silent disapproval and turning towards the youth formed a circle and kept staring at them. You could hear the disapproving silence and the panic it caused in the obnoxious youngsters. At the next stop they jumped off our train and disappeared from sight. The Roma boy in the next car smiled, and nodded his thank. The passengers in our car looked at each other as if they had won a major battle, silently congratulating each other and themselves for the unique experience of doing something constructive for a change. Later that day I was told I was lucky. A boy, who dared to speak up when he heard an anti-Semitic remark at a bus stop, had been knifed to death by a few skinheads. I joined The Roma Community Centre (RCC) that opened in September 1997 after the arrival of over 3,000 Czech-Roma refugees in Canada. I liked its mandate that aimed to serve to create a structure that would assists Roma refugees from many countries to integrate more easily into Canadian society. They also intended to work to raise awareness about the issues that lead the Roma to seek asylum in Canada and to change attitudes towards them through advocacy and educational programs. I became one of the Board Members and in the fall of 1998 I went to Hungary on a fact finding mission. I even offered and conducted a workshop for the interpreters about cultural differences that took place on October 21st, 1998. I arrived in Hungary on November 1st, 1998 and spent five weeks interviewing Roma leaders, and giving interviews to Daróczy Agnes at the Patrin Roma program on TV and at the Tilos (Forbidden, formerly underground) Radio, Romani program about the Roma’s arriving in Canada, and the procedures they had to face to apply for refugee status. Blanka Kozma, the head of the Roma Women’s Association, a university educated person, dedicating her life to the betterment of her fellow Romani women, offered to be my co-ordinator. We visited the Romani Press Organization; the Minority Press Association; the European Roma Rights Center, and had an interview with Mr. Imre Furman, the head of the Legal Defence Bureau for National and Ethnic Minorities (NEKI) / (Nemzeti és Etnikai Kisebbségi Jogvédő Iroda), a person who had created the framework for civil rights legislation in post-communist Hungary by providing the country’s first system of legal defense for Roma (Gypsies) and taught the first Hungarian university course on human rights as well. We also had a lengthy interview with Aladár Horvath, a Civil Right Activist, and a prominent expert on the civil rights of the Roma people of Hungary. Just a day before my departure I finally had a meeting with Ferencz Kőszeg, the founding president of the Hungarian Helsinki Committee. The Hungarian Helsinki Committee (HHC) is a leading human rights organisation in Hungary since 1989 monitoring the enforcement of human rights enshrined in international human rights instruments, providing legal defence to victims of human rights abuses by state authorities and informing the public about rights violations. Without exception they all agreed that the Roma in present Hungary had suffered from systematic discrimination, amounting to persecution, and that the country not only is unable but unwilling to provide them protection. And they gave me several documents about police brutality backing up these allegations. This exclamation must have jarred the young man’s memory, as suddenly he remembered that there are indeed a couple of problematic issues, and to prove it, he handed over a large box of documentations. The next day Mr. Kaltenbach surfaced, and gave a press conference about his visit to Canada, where he had been invited as one of the four witnesses from the Hungarian Government officials in a lead case concerning two roma families claiming refugee status in Canada. I attended this press conference, however none of my questions pertaining the secret hearing been ever recorded. And none of my inquiries were answered either regarding how the Romas’ life would be improved once they are deported back from Canada and what would be their job perspective once they arrive in Hungary. I made my report about my findings at the Canadian Embassy. Since this was the time when Hungary aimed to be a member of the European Union, I maintained that Canada’s role in the issue of the Romas in Hungary should be to press the current government to meet the obligations towards its minorities, and if possible offer them some institutional and if necessary, financial help to achieve it. I didn’t believe that Hungary having issues of its own minorities should become the problem for Canada. As the hearings had been held in secret, the negative decision of the two so called lead cases, dated January 20th, 1999 took us by surprise. As a response The Roma Community and Advocacy Centre (RCAC) of Toronto, Canada, held a press conference on Thursday, February 4, 1999, at the Culture Link centre on Bathurst Street in Toronto to protest two recent negative decisions involving Hungarian Romani Convention refugee claimants by the Immigration and Refugee Board (IRB). The decisions were the result of hearings orchestrated by the IRB beginning in late autumn 1998. The unprecedented hearings – which in at least one of the cases included ten separate sessions – were intended to act as test cases to determine whether or not Hungarian Roma suffer persecution in Hungary; what the country conditions are concerning the Romani minority; and whether or not Hungary can be considered a country where Roma cannot obtain government protection against attacks by skinheads and neo-Nazis. Related issues discussed were whether Roma have equal access to schooling, housing and employment and whether they have the right to maintain their language and cultural traditions. The claimants involved in these test cases were unable to bring their own witnesses from Hungary, putting them at significant disadvantage in the hearings. The witnesses, who were brought from Hungary by the Department of Citizenship and Immigration (CIC), were Jenő Kaltenbach, Parliamentary Commissioner for National and Ethnic Minorities in Hungary, Lipót Höltzl, Deputy Secretary of State at the Ministry of Justice, Flórián Farkas, President of the Hungarian National Gypsy Self-Government – the state advisory body on Romani affairs in Hungary, and András Bíró, journalist and Chairman of the Board of the ERRC. Mr Bíró, Mr Höltzl and Mr Kaltenbach are not Roma. Mr Farkas is a non-Romani speaking ethnic Rom. The witnesses called by counsel were Orest Subtelny, professor of history and political science at York University (Toronto), a specialist in national minority-majority relations in central and Eastern Europe and the countries of the former Soviet Union and Dr Ian Hancock, professor in the Department of Linguistics and English at the University of Texas at Austin. Dr Hancock testified long-distance by telephone conference. Mr Subtelny is a Canadian, non-Romani academic while Mr Hancock is a Rom, speaks fluent Romani and is a respected authority on Romani history, language, culture and the persecution of Roma in the former Soviet-bloc countries. Other witnesses suggested by counsel – persons considered to be genuine Roma activists in Hungary, working without financial support from the government and not reliant on the goodwill of the government for their salaries, positions and political advancement – were not acceptable to Canadian Immigration as witnesses. Their potential testimony was deemed unnecessary. The two IRB Decisions, released January 20, concluded that Roma face discrimination in Hungary but not the persecution necessary to be considered a refugee under the 1951 Geneva Convention relating to the Status of Refugees. This does not agree with the testimony offered by large numbers of Hungarian Roma refugees now in Canada nor with news reports and material published by non-governmental organizations, civil rights organizations or the recent report of the US Commission On Security And Cooperation in Europe. The latter states: “Conditions of life within the Romani community are significantly worse than among the general (Hungarian) population. Roma suffer from discrimination and racist attacks and are considerably less educated, with lower than average incomes and life expectancy. The Romani unemployment rate is estimated to be 60 to 85 percent, over six times the national average of 10.3 percent.”2 The report also points out that Romani children are segregated in school and are forced to attend substandard schools where they receive inferior education. Decision in a third IRB test case is pending. The testimony given by Mr. Subtelny and Mr. Hancock in the two cases decided was evidently disregarded by the IRB panel since neither of them were deemed to have first-hand recent experience of the alleged improvements in the situation of the Roma in Hungary. Apparently the testimony of the other four witnesses – Mr Bíró, Mr Farkas, Mr Höltzl and Mr Kaltenbach – was not convincing enough to influence the decision of the IRB in the test cases as to the need for many Hungarian Roma to seek safety in Canada as Convention refugee claimants. If these two negative decisions are upheld and can be referred to as template cases at future IRB hearings involving Hungarian Romani refugees, they could have a negative impact on the more than 1,000 cases still pending as of February 5, 1999. In 1998, a total of 976 Hungarian Roma refugees filed claims, 153 cases received positive decisions, 64 received negative decisions, 85 cases were withdrawn and 95 abandoned. Immigration figures show that the number of Hungarians applying for refugee status in Canada has risen dramatically from 10 in 1994 to 38 in 1995, 64 in 1996, 300 in 1997 and 972 in 1998. Independent monitors have noted that most if not all of these Hungarians are Roma fleeing persecution on ethnic grounds in Hungary. More are arriving every week. The RCAC press conference panel consisted of Paul St. Clair, executive director of RCAC, Judith Kopacsi Gelberger, member of the Board of Directors of RCAC, Francisco Rico Martinez, president of the Canadian Council of Refugees and Jack Martin, executive director of the Refugee Lawyers Association. Peter J. Wuebbolt, the Toronto-based immigration lawyer whose firm represented the three Hungarian Roma in the test cases (and who has now launched appeals), George Kubes and other Toronto immigration lawyers were also present in the audience along with about fifty Hungarian Roma refugees whose claims are being processed, members of RCAC, volunteers working with RCAC and other interested parties. Ms. Gelberger, who recently returned from a fact-finding trip to Hungary, pointed out that she doubts the IRB really wanted to know the truth. She suggested that the Board simply flew in witnesses sympathetic to the Hungarian government who would whitewash the situation of the Roma there. Mr. Martinez, president of the Canadian Council of Refugees explained that members of the refugee community meet regularly with the Canadian Immigration Department and his organization was never informed that the IRB intended to treat the Hungarian Roma cases any differently than other cases. Mr. Martin, of the Refugee Lawyers Association also explained that the lawyers representing the claimants who will be affected by these test-case decisions should have been given an opportunity to cross-examine the witnesses representing the Hungarian government, since their testimony may play a key role in future decisions. Romani members of the press conference audience accused Hungary of tolerating the persecution of Roma. They told of attacks perpetrated by skinhead and neo-Nazi gangs and abetted by the Hungarian non-Roma population who practice systemic discrimination against Roma. Many Hungarian Romani refugees claim that Roma in Hungary are living under apartheid conditions. One conspicuous member of the audience was Gabor Menczel, the Toronto-based Consul General of Hungary. Mr. Menczel denied the allegations of the Roma present, and retorted that: “The official policy of the Hungarian government doesn’t recognise any persecution of any minorities.” He did admit that there have been some incidents of violations of Roma rights. He added that it takes time to enforce certain laws, apparently referring to reforms which will take place at some undetermined future date. The Hungarian government has promised to assist any Roma refugees in Canada who return to Hungary. According to reports in the Hungarian media they will be provided with financial assistance in finding decent housing and employment which they were utterly unable to obtain before they were forced to flee Hungary. The history of racism in many countries has shown that governments cannot enact laws which will ensure that landlords who hate Roma will rent them decent apartments, employers who hate Roma will hire them and means by which unemployed, destitute Roma can rent decent accommodation. Reports reaching Canada from Hungarian Romani refugees who have returned to Hungary indicate that they are now substantially worse off than when they sold their meager possessions to pay for their flights and those of their families to Canada. In the article that appeared in the 1999 March issue of Amaro Drom, (a Hungarian language magazine dedicated to Romani issues, established by the Hungarian Roma Parliament in 1991,) questioned the integrity and trustworthiness of the invited witnesses, representing the Hungarian Government, eager to get accepted into the European Union and the NATO, were Hungary be accepted in Canada as one of the refugee producing countries. In addition it also mentioned that the amount of money spent to remedy the Roma situation in Hungary was only mentioned in Hungarian Currency, which was meaningless in the Canadian context, and it had never been compared to the amounts spent on other minorities. Since the Roma constitute the largest ethnic group in Hungary (About 10% of the population, approximately 800.000, the amount that was actually mentioned in the report broke down to about 9.00 Ft, per person, while the ethnic Germans that amounted to no more than 25.000 had received 450 Ft, per persons). While through 1996-1998, 90% of the Czech and 70% of the Hungarian Roma, were accepted as Convention Refugees, the negative decision, rendered on January 21, 1999, – even though was not supposed to be binding, – led to a dramatic decrease in the acceptance rates for Hungarian Roma, from 70% in 1998 to 8% in the period of April to September 1999. From 1998-2003 the IRB acceptance rate (accepted vs. rejected), for all countries, was around 50%. Author: Judith Kopácsi Judith Kopácsi is a former member of the Canadian Immigration and Refugee Board and former member of the Roma Community and Advocacy Centre (RCAC). Ms. Kopácsi is the author of the book Heroes Don't Cry. Her father, Sándor Kopácsi, was the police chief of Budapest during the 1956 Hungarian Revolution. An author and educator, Ms. Kopácsi lives in Brampton, Ontario. Thank you for this insightful and well researched article. In my travels in Hungary, I have found many educated and uneducated Hungarians display anti Roma feelings based on ignorant stereotyping and racist attitudes. These attitudes are easier to have than ones based on well informed and researched information. It doesn’t require thought or empathy. I grew up in a small community in Hungary, I had a very good friend and classmate who was gypsy. He was a good and ambitious student. He eventually became a medical doctor. His elder brother a Calvinist priest. Their father was a small store keeper. Their grandfather was the local judge-magistrate way back in time of Ferenc-Jozsef. Yes there were less successful gypsies also. But the fact that it was NOT impossible even for a poor gypsy to get ahead on his/their own, even way back. Supposedly socialism have opened the door for them. Then just what is the problem today, and what the author feels might help to eliminate all this discrimination , that is allegedly based strictly only on something imagined? Any answer, rather than keep blaming always some one else for any problem that may not even exist ? Bendeguz79, as usual you miss the point of the article. There are tow more installments, I suggest you wait, and read them all, before you jump to conclusion. I might bring your attention to the difference the IRB had been dealing with the Roma from the Czech republic and the reasons for it. WELL, Ms.Kopacsi, no matter what else you may write in the future, I am sure you have your own views ,opinion on the situation, since you must be familiar with all the details. So , why not dare to share it with all the readers ? It’s your conclusion that’s missing. Since you have all the details that could shed light on the plight of all those victimized people. May be even come up with solution. It is obvious that there is massive discrimination against Roma in Hungary when we see the proof. Hungarian Roma who are accepted as refugee claimants in Canada become small business owners, university graduates, successful in skilled professions, all things they are unable to do back in Hungary. The difference is that equality under the law in Canada is based on citizenship, not ethnicity like it is in Europe.Hungary where the Magyars are the in-group and non-Magyars are the underclass outgroup of second class citizens. Just how could any one tell a so called Roma from an Indian, Asian, and African apart? But no worry. Frau Merkel’s 65,000 “migrants” likely will be Africans, not Asians, since Hungary has been fighting to accept any of them. That will make it a bit easier and a bit more colorful population, As well, it may even be some new genetic infusion to such a unique nation. Remember, it will be progress, and all progress is great, according to today’s global liberal ideology. Just need to enjoy it ! I so enjoy corresponding with Bendeguz79, who always, without exception, talks around the issues, but never addressing the real problem. I grew up in the 11th district of Budapest. My next door neighbour was a 4th grade teacher in the 7th district where she work in the school for the mentaly retarded. All her students were roma, “good oportunity for these children to get a good education”. In Miskolc, the The Gypsy tenament had houses built of daub with mud floors. The population of the city felt that that was all they needed. It is easy to bring up an exemption to the rule. I am glad that there were those who managed to suceed Bendeguz79. I joined the RCAC at the press comferenc Mrs Gelberger is talking about. I also had the opportunity to translate for a family who had to take their house apart brick by brick to sell and come to a safe place after thery were beaten and threatened. I translated for a woman who was traveling on the train with her baby and a gang of skinheads raped her while the baby was on her breast. No help from anyone on the train or the police after. The two cases that were the “presedent cases” to be used in all upcoming hearings as a bases for future determination of claim, were in affect illigal by the mandate of the Immigration and Refugee Board. The mandate clearly stated that all cases must stand on their own merit. While working as an interpreter I visited a lot of the shelters, including the Days Inn in St Catherine, where most of the newly arrived Hungarian Roma were housed. At one occasion I worked with a large group from Nograd county. All the families were giving me the same storie almost to the word. I found out that they had a man in the group who came from the Nograd County Roma Self Government and told all the new arrivals that that was the story they had to tell if they wanted to stay in Canada. He was clearly undermining what we, another interpreter and Ron Lee and I were trying to do. Those who have been determined not the be refugees by the IRB and returende to Hungary were given no help. The education the children receiveid in Canada was not recognized and they had to go back to the same grade that they attended before arriving in Canada. That meant that some of those childeren were put back to grade 2 at the age of 10-11. IRB was slow at hearing their cases. Families were sleeping in the waiting rooms of train stations, moving from one to the other every night. The men would go out to work as day labourers and look for their at the end of the day. In a country where they have elected members of the Jobbik Party (Alt Right,) and have statues of Horty, Hungary’s fascist leader during WWII the Roma, Jew, Asian or Africans have the same oportunities as the ethnic Hungarians. Razor wire fencing, kicking a father while running with his child is more the representation of what is going on. Dear Ms,Kopacsi; your response is very flattering . But I did NOT ask you to “correspond” with me. Instead ,as you being the author of your article posted here, as well an experienced and expert on the subject, due to your position with the immigration board ,I kindly asked your simple opinion on the issue. May be I am not sharp enough, as do not seem to be clear which event you described have referred to happenings in Hungary and which in Canada. It appears that you also are more familiar with the issue than the average readers, I, for one, at least, would be interested to hear what suggestions you might have to help the Roma population? Yes, in this world not everybody is successful, not even those that give it all. Wonder who’s fault is that ? I assume, back in time of the Peoples Republic, that was not a problem. At least, nobody did complain ! Bendeguz79, as usual you again have a problem understanding the written words. Both Susan and I worked as interpreters for the Hungarian Roma during the late nineties and early 2000. Our experiences are mostly with the Roma, who were already in Canada and requested asylum. As such we were the first to hear their stories, and of course read the following and attached documentation. Some of those documentation were newspaper articles from Hungarian newspapers, and some came directly from the United Nations and other humanitarian agencies. Our experiences were that those early arrivals that had been through the system, were dealt properly and in a timely manner, and most of them managed to integrate into Canadian Society. It was especially gratifying to see the children thrive in the positive environment. The so called “Lead Cases” were not only illegal, but the whole procedure resulted into mass deportation of the Hungarian Roma, while none of this happened for instance to the Roma, coming from the Czech republic, where they suffered the same discrimination. Not only it caused massive hardship for the Hungarian Roma, but at the same time Canada’s reputation as a fair country had been severely undermined. I hope you don’t mind that instead of Ms. Fazekas, I will reply to your question about how to help the Roma. As I mentioned in my article I didn’t believe for a moment, that the Hungarian Roma should become the problem for Canada. In 1998, during my fact finding mission, when I made my report to the Canadian Embassy, I pointed out that there was an opportunity for the Canadian government to offer assistance to remedy the situation. I also knew that since Hungary at that point was eager to join the EU, a tremendous amount of money was sent to built the right frame and infrastructure to achieve it. As usual, none of that ended up in the right place and spent on the proper project. So, this is no longer the problem for the Roma, but the whole country is going down the grain, thousands of them are leaving, hoping to find better living conditions elsewhere. Oh, and by the way, my job as the member of the Refugee board was not to make suggestions, how to make the Roma life better in Hungary, or anywhere else for that matter. It was strictly to determine whether they fit the definition of the refugee, as it was lined out by the Geneva convention.